Traveling to the United States brings many pleasures: visiting vibrant cities, world-class museums, eating delicious food and meeting interesting locals – but let’s face it – shopping is at the top of the list of most visitors to the country. And it should be given the incredible choice available, the competitive prices and lower taxes than in many other countries. All visitors coming to the U.S. that are planning to do serious shopping should consider visiting an outlet shopping mall. Outlet malls are large shopping complexes where the major brands have “factory shops” or “discounted shops” where they sell their products at discounts that can sometimes be anywhere from 20% to 90% from the price charged at regular malls. Outlet stores are similar to regular stores but offer products with deep discounts. These malls tend to be located outside major cities so traveling there with a car is recommended. Below we list the top 5 outlet malls in the U.S. Start planning your shopping extravaganza, get your U.S. ESTA travel authorization and get ready to shop ‘til you drop! 2. 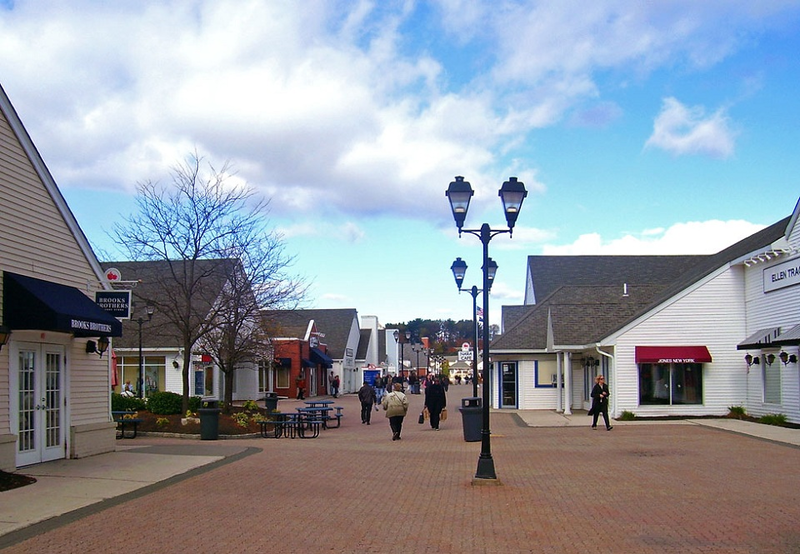 Woodbury Common Outlet Mall – Central Valley, New York. This outlet mall located one hour north of New York City offers 220 shops ranging from ultra luxury brands to electronics. 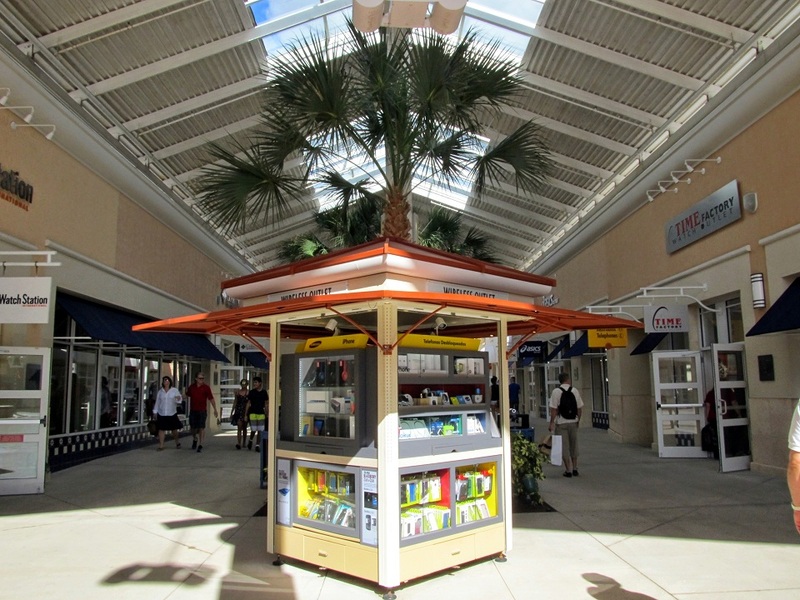 Brands such as Armani Exchange, Brioni, CH Carolina Herrera, Prada and Tommy Hilfiger have stores in this outlet center. 3. Orlando International Premium Outlet Mall – Orlando, Florida. Located right in Orlando in International Drive, International Premium Outlet Mall offers over 180 different stores to chose from. With brands such as BCBG Max Azria, Coach, Lacoste, Michael Kors and Tourneau, there’s something for everyone in this huge mall. Combine that visit to Disney World or Universal Studios with a day shopping here and you won’t leave disappointed. 4. Camarillo Premium Outlets – Camarillo, California. Located just 45 minutes north of Los Angeles, the Camarillo Premium Outlets offer 160 outlet stores ranging from Banana Republic, Barneys New York, Neiman Marcus and Nike. Very easy access from major attractions in Los Angeles so you can combine visits to Hollywood, Santa Barbara and other area highlights with a good shopping experience at Camarillo. 5. Las Vegas Premium Outlets – Las Vegas, Nevada. If you’re visiting the Gambling Capital of the World and would like to do a little shopping on the side then Las Vegas Premium Outlets are for you. With two locations in Las Vegas, the outlets offer over 150 stores ranging from Calving Klein, Cole Haan, Ferragamo and Tag Heuer. Shopping in the United States is a very fun and pleasurable experience with all the choice available and the wonderful prices on offer. Even with a stronger dollar you will find most products to be considerably less expensive in outlet malls in the U.S. than in other countries. You should plan ahead and visit an outlet center during a national holiday in the U.S. such as Presidents’ Day in February, Memorial Day in May or even during Independence Day on the 4th of July as during these holidays most brands offer significant sales on top of their already low prices. Start planning your shopping trip of a lifetime and get your U.S. ESTA travel authorization as soon as possible in order to enjoy huge savings!